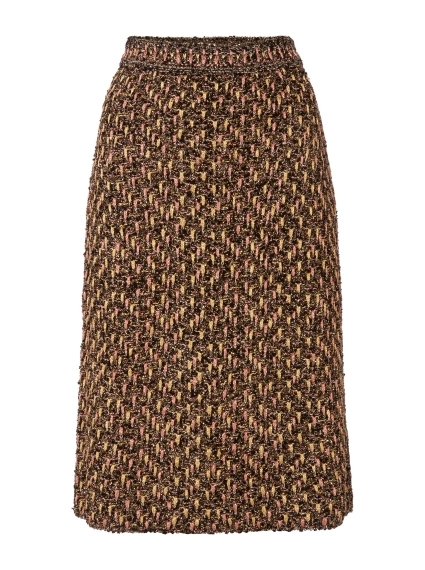 Instantly recognisable thanks to its shimmering metallic finish, this M Missoni skirt is rendered in a tweed knit. Designed in a midi silhouette, it is fitted with an elasticated waist for an effortlessness fit. Complement with metallic sandals and sun-kissed skin for Italian glamour.